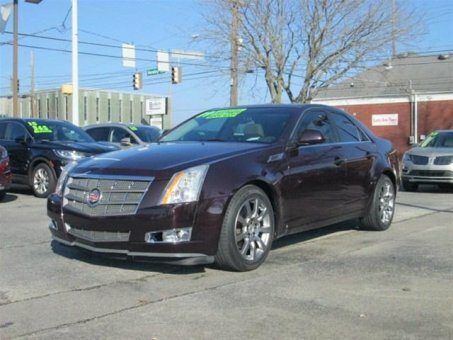 Sensibility and practicality define the 2009 Cadillac CTS! It offers great fuel economy and a broad set of features! With less than 60,000 miles on the odometer, this sedan hits the mark with consumers demanding economical versatility! Cadillac infused the interior with top shelf amenities, such as: front bucket seats, telescoping steering wheel, and power windows. Smooth gearshifts are achieved thanks to the 6 cylinder engine, and for added security, dynamic Stability Control supplements the drivetrain.